Most provisions of the construction standard for respirable crystalline silica became enforceable Sept. 23, 2017. This month—June 23 to be exact—the second phase of the Occupational Safety and Health Administration (OSHA) permissible exposure limit (PEL) regulations go into effect for general industry and maritime. 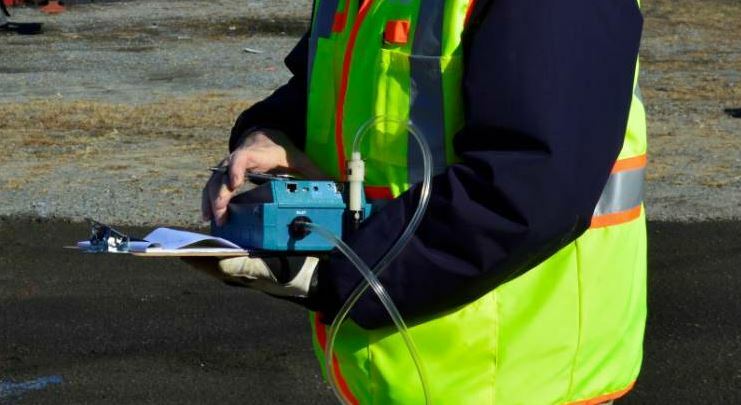 Here’s what you need to do if you’re an asphalt plant owner to safeguard the health of your workers and keep OSHA inspectors happy. You need to put plans in place. Plural. Plans. You don’t have to make plans on your own. During the National Asphalt Pavement Association (NAPA) mid-year meeting July 8 through 11 in Boston, the Health and Safety Committee will host a 30-minute micro session titled “Ensuring Asphalt Plant Operations are Compliant with OSHA’s Silica Rule.” This session is designed to help producers understand what steps are needed to ensure compliance with the silica rule at asphalt mix facilities. NAPA’s description of the session explains, “the asphalt pavement industry has been proactive in understanding and implementing the necessary control equipment for road construction activities, and has more recently been reviewing the types of controls that may be needed at a mix facility.” To that end, NAPA hosted a webinar in Q1 during which Matt Mileski, the safety coordinator at HRI Inc., State College, Pennsylvania, and Chuck Mull, HSE director at Kokosing Materials, with headquarters in Fredericktown, Ohio, shared what they have learned thus far. Remember, the construction standard includes a table—referred to merely as Table 1—in OSHA Standard 29 CFR § 1926.1153 that lists specific activities performed with certain tools or equipment, and the approved methods of dust suppression or engineering contractors can use to protect workers from exposure. Mileski shared that the best practice he has observed is to follow the table precisely for construction activities; use it as a guide and OSHA inspectors will be fully familiar with your practices. If you choose to develop your own method of controlling silica dust exposure, the OSHA inspector visiting your job may not be familiar with your practices. In that case, “the inspector has to start testing the air, etc.,” Mileski pointed out. 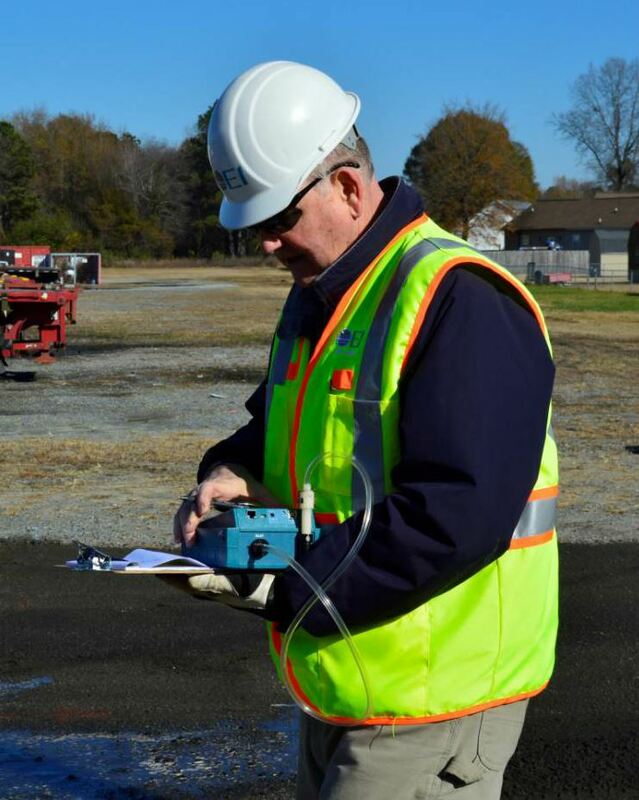 In this image, J. Lindsay Cook, senior vice president at The EI Group Inc., performed silica level monitoring while the NeSilex™ silica dust suppressant was in use. Photo courtesy Chemtek Inc., Research Triangle Park, North Carolina. What he explained makes sense. If a contractor follows the steps already spelled out and familiar to inspectors, the contractor makes life easier for everyone. When it comes to general industry (and maritime), there is no Table 1. In other words, look at the different activities performed around the plant, assess workers’ exposure to respirable crystalline silica during those activities, and prepare a written exposure control plan for each of those activities. Mull listed some of the obvious ones for webinar participants, suggesting to start with a visual assessment of the plant and use a real-time dust monitor to figure out where to perform air monitoring. Keep in mind, your insurance company may be willing to assist with air monitoring. Aggregate Piles—Look at the wheel loader operator who is working the aggregate piles. What type of equipment have you provided him? If he’s working in an open-air cab, enclose it. Roadways—If the roadways around your plant site are dusty, consider paving them. If they are paved, and you still see an inordinate amount of dust, look at your sweeping schedule. Water the roads; water the brooms. Are you using a vacuum sweeper or just kicking the dust around with a broom head that needs to be changed out? Baghouse—Mull shared, at one time in the past, a team measured more than 400 µg/m3 when pulling bags at a baghouse. Through engineering, the team solved that problem. They installed fans to pull the dust and put masks on workers. They got measurements down to 20.1 µg/m3. Let’s say you have to open the dust screw. If your company requires this level of baghouse maintenance only once or twice a year, you may elect to use a service that employs its own exposure control rather than developing a plan for it. During the World of Asphalt show in Houston, the team from Albarrie Environmental Services, Barrie, Ontario, shared that they provide high efficiency cleaning of baghouses on a subscription or on-call basis. Their workers have the controls and certifications to go in and do the job without putting the producer’s workers in harm’s way. Lab—In the quality control lab, consider which tests are run. Does the particular test being run offer silica exposure? Are you cutting cores? Again, the written exposure control plan will be task-specific. Make sure it’s specific to the tasks in the lab, too. Merely mixing asphalt is considered “disturbing” it. The limestone, granite, sandstone and other aggregate piles that your loader operator works or pulls material from are disturbed all day long. If you elect to offer a face mask—which OSHA calls a filtering facepiece—to a worker to cut down his exposure, you must also prepare a written program that details the use of these respirators. Your program will require a medical evaluation of the worker prior to any work, training on the proper use of respirator and the job/task every 12 months, and a fit test of the worker every 12 months. Have your safety and health director spend time on the OSHA website, specifically looking at the Small Entity Compliance Guide here. You might also consider sending him or her to the NAPA mid-year micro session in Boston for more information. There’s also a nifty resource at www.silica-safe.org/ where you can build your task-specific plan anonymously. Companies are taking action to protect their workers from silica dust exposure. Recently, Chemtek partnered with the contracting division of the West Central Region of Aggregate Industries, which is a division of LafargeHolcim, to give a presentation on silica safety. Silica expert J. Lindsay Cook and NeSilex™ product manager David Elam shared their knowledge with a large group of paving crew members in the contracting division at the Adam Country Fair Grounds in Brighton, Colorado. Cook is the senior vice president at The EI Group Inc., and specializes in industrial hygiene, safety, air quality, noise, OSHA/EPA regulations, program auditing and management. The silica presentation was a part of a two-day training workshop on several safety topics including skin cancer, hearing and traffic control. The conference was coordinated by safety coordinator Al Quist, project manager James Cryer, operations manager Rob Wise, and contracting division head Brenda Shuler. David Dziubinske, head of health and safety for LafargeHolcim, was also in attendance. The educational presentation began with a focus on what silica dust is, where it comes from, and its hazardous nature. Cook described how silica dust enters the lung during everyday construction activities that put workers at great risk of silicosis. Other serious health risks include COPD, difficulty breathing, and lung cancer. Cook then gave an in-depth explanation on the current OSHA regulations surrounding silica dust including how workers can protect themselves and how companies can comply with the regulations stated in the Table 1 Guidelines of Rule CFR 1926.1153. If you or your company is interested in learning more about the hazards of silica dust, current regulations, and best safety practices, reach out to David Elam at (919) 631-4331 or david.elam@chemtek.us.